NEXT | Do you watch esports for the game, the team, or the player? Well done, Ben Brode, well done. In all seriousness, seeing Ben Brode flounder is certainly funny — especially accompanied by his iconic laughter — but it serves as a reminder that casting is more difficult than it seems. Brode was presented with a Hearthstone match still in its opening turns with nothing visually happening on screen the entire time he was on the mic. Of course it’s difficult for him to come up with anything to say off the cuff. We often underestimate how much time and effort goes into casting a game; only with sufficient practice and preparation can a caster fill in those periods of dead air and keep a match exciting when viewers are, essentially, staring at an unmoving screen. The match’s actual casters would not only fill that dead air, but if they’re engaging enough, make it seem as if there was no hesitation between moves at all. Brode stumbling in his attempt to cast this match doesn’t necessarily mean he would make a bad Hearthstone shoutcaster. But it does make it clear how important preparation is to shoutcasting. The job begins long before stepping in front of the microphone. 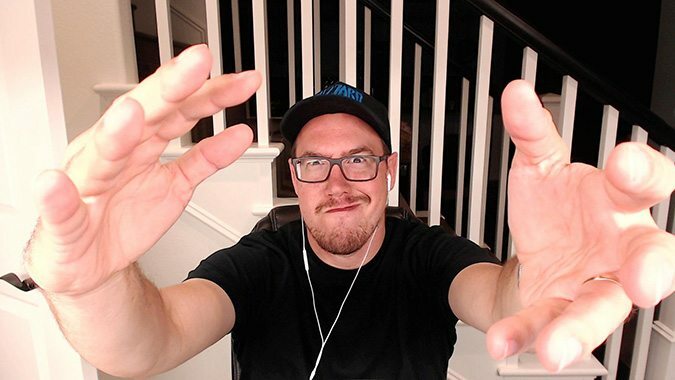 It isn’t as if Ben Brode needs to be a shoutcaster, anyway. He already has a day job as a wildly successful rapper.